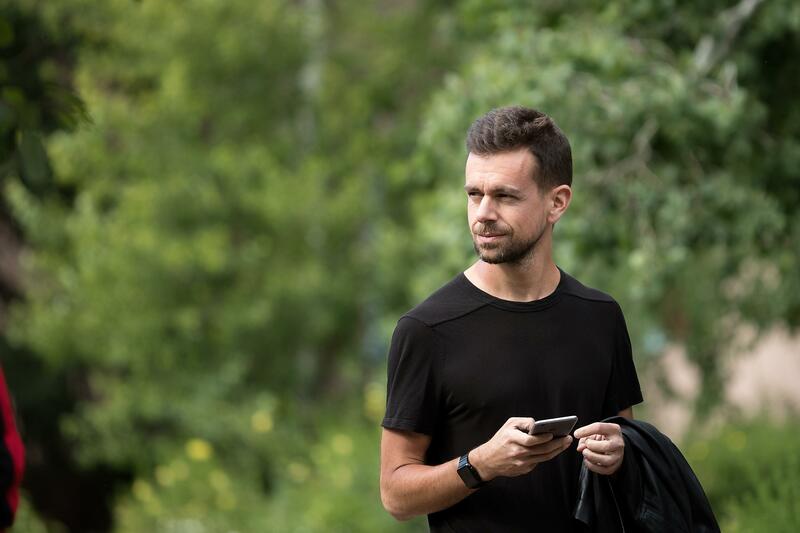 Twitter co-founder and CEO Jack Dorsey admitted that employees who work for the social media platform might have their own "left-leaning" biases when it comes to politics. However, he said those viewpoints do not have an impact on the company's guidelines and policies. President Donald Trump has accused Twitter of "shadow banning" or trying to stifle conservative voices on its platform and that social media companies are "totally discriminating" against Republicans. Dorsey, speaking to CNN's Brian Stelter in an interview that aired Saturday, said that employees’ views on politics do not influence what is considered appropriate behavior on the platform. "Are we doing something according to political ideology or viewpoints? And we are not. Period," Dorsey told CNN. "We do not look at content with regards to political viewpoint or ideology. We look at behavior." "We need to constantly show that we are not adding our own bias, which I fully admit is more left-leaning," he added. "And I think it's important to articulate our bias and to share it with people so that people understand us. But we need to remove all bias from how we act and our policies and our enforcement." Earlier this month, right-wing talk show host Alex Jones had his Twitter account suspended for one week after he told supporters to get their "battle rifles" ready for critics in "mainstream media." Companies including Apple, Facebook, YouTube, and Spotify have all taken action against Jones for violating their hate speech policies. In recent months, Twitter has taken steps to promote safety and ban hate speech and harassment on its site. The company said it is suspending over a million problematic accounts daily. Additionally, Twitter has been deleting "locked accounts" as part of a broader initiative to rid the platform of bots. These accounts are locked if they exhibit suspicious behavior or tweet out a large number of unsolicited replies or mentions to users.